New to the game!! Any tips you can give to a beginner? Hey guys I am playing No Man's Land and decided to give a try to Ng's other game... So I ended up here. Do you guys have any particular tips for beginners like me? If you want to be a top posse event contributer, don't worry about your town and its defence. Focus on expanding your map and building up your troops. 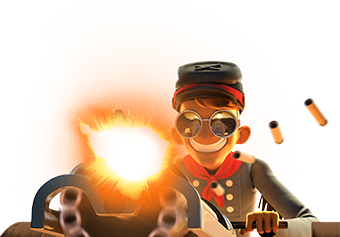 This means only upgrading camps (to have more troops), the fort (to have more battle points), the pony express (to expand map and have more trains), the healing wagon (to speed up healing) and the furnace (to have more steel). Have I left any out? Yes ... the courthouse! Do not upgrade buildings that generate money and good. Steel everything. YOu will stay lower longer. Upgrade them last. @XoDEVILMANox's guides are an impressive bit of work, definitely worth a look. How come I have a courthouse and everyone has an oil refinery? How did they get the refinery? You have already an oil refinery. Everyone who is attacking you sees one instead of your courthouse. I've always thought that was weird ... our courthouses morphing into oil refineries .... probably explains the warped minds of the developers! I kinda like the indifference of the mercenaries when defending mines. Barely lift a finger and never give chase.... Must be Teamsters!